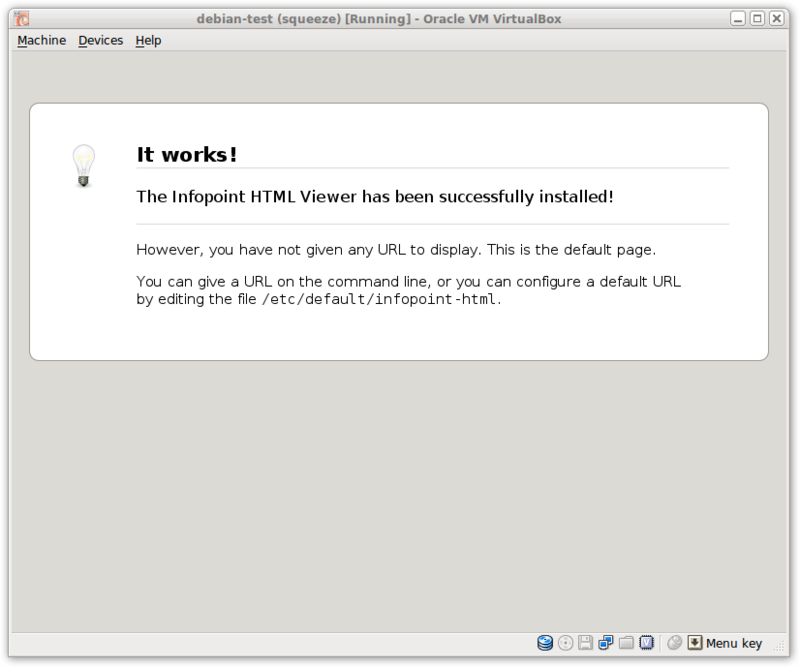 The Infopoint HTML Viewer is a light-weight, full screen viewer for web pages. As the name indicates, it is primarily focused on machines whose one and only purpose it is to display web pages (like network monitors, stock charts, or news). 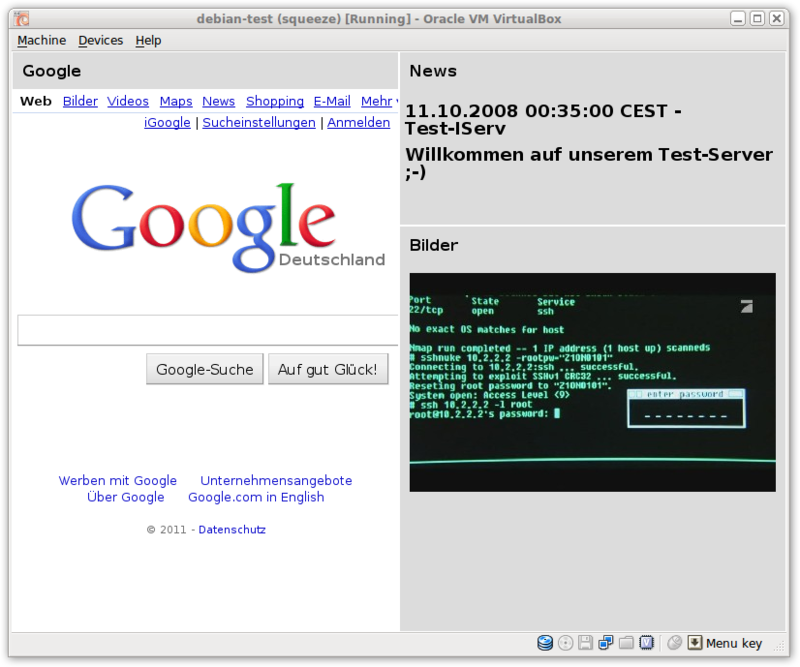 The software is built on XULRunner, the same framework Mozilla uses for Firefox and Thunderbird. It starts on system boot and simply displays a borderless window with the full size of the display, containing the contents of the web page you configured. Cool, what do I have to do? Get a machine with a network connection and a big display. For example, you can hook a Raspberry Pi to a TV. Install a fresh Debian system on it (“base” package set is totally sufficient). For the Raspberry Pi, you might want to use Raspbian. Add my personal Debian repository. Configure the URL you want to display: edit /etc/default/infopoint-html and change the URL option. Also be sure to set AUTOSTART="yes". /etc/init.d/infopoint-html start, or simply reboot.